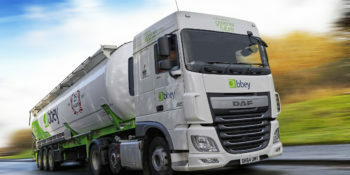 Abbey Logistic’s enviable reputation in the food and beverage logistics sector and non-food sectors for customer retention, is due to our consistent approach to transport and logistics quality in both the service we provide on the road and the follow-up and technical support we provide to our customers. 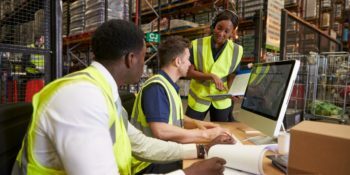 We understand that a client’s business is unique and the processes we put in place for them may not be replicated elsewhere. We don’t try and force “off the shelf solutions” when we know our customer is better off with a structure and process tailored specifically for them. Maintaining our successful operations across liquid and powder bulk road tankers, warehousing, and value-adding services requires several key components; among these components are quality management systems that ensure we meet regulatory standards and customer requirements. Supporting our commitment to quality are our credentials; Abbey Logistics is certified to international standards through our adherence to ISO 9001, ISO 14001 and ISO 50001. We are an SQAS assessed company and a member of the UK warehousing Association (UKWA). Food and beverage logistics accreditations include being a member of SCOPA, the trade association for companies involved in seed crushing, oilseed extraction and oil or fat processing; FIAS, the fertiliser industry’s trade association that assures fertiliser security and traceability in the supply chain and TASCC, the trade association of grain, oilseeds and pulses that ensures products are treated responsibly while in transit and adhere to food safety laws.volved in seed crushing, oilseed extraction and oil or fat processing; FIAS, the fertiliser industry’s trade association that assures fertiliser security and traceability in the supply chain. While these accreditations fulfil legal compliance, our strict high quality and safety standards go above and beyond what is expected of a logistics provider and we continuously strive to improve all aspects of our operations for the benefit of our customers our staff and the environment. We demonstrate our commitment to excellence in road tanker transport and logistics on a daily basis, we maintain clear lines of communication with our customers and receive regular positive feedback on our performance. In addition, we have been fortunate enough to be recognised by both our peers and industry bodies for our commitment to our customers, the environment, and the logistics industry.